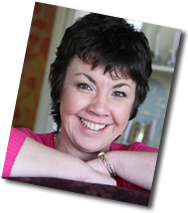 Lorna Sixsmith is known in Irish social media circles for being a blogger extraordinaire. Her blog posts regularly receive thousands of hits. What you mightn’t know is that Lorna’s roots lie in literature – she was an English teacher for many years. This year, she decided to return to those roots and write a book. She was inspired to write Would You Marry a Farmer when one of her blog posts went viral, and she’s hoping her blogging magic will work just as well for her book. I’m delighted to be part of Lorna Sixsmith’s blog tour. Because I give advice to other writers about publishing, I thought I’d focus my interview on the interesting route Lorna took to publishing her book. I genuinely think it’s a viable option for other writers who want their book to see the light of day. Lorna spared a few minutes to chat to me about her path to publication. Lorna, let’s start at the beginning. Where did the germ of the idea for this book come from? I had always planned on trying to write a book and wrote 40,000 words for a novel about two years ago but never had the time or the confidence to go back to it. The idea for this book came from a blog post I wrote in September 2012 entitled ‘Advice to those considering marrying a farmer’ – a tongue in cheek look at what farmers’ wives might expect. It was always popular but when it went viral one week, I wondered if there would be similar interest in a book that covered that topic. You’re used to writing blogs – how did you rise to the challenge of writing a full length book? It was a challenge but having a deadline was wonderful. I can achieve almost anything if I have a deadline but could procrastinate for ages otherwise. I had a relatively short time to write it too – I wrote 10,000 words back in April but the rest was written and edited in three months. The book is divided into sections and subsections and I I faced writer’s block (partly from lack of inspiration or more so from feeling overwhelmed), I just told myself it was like a blog post and was then able to tap away at the keys until that section was completed. The blog posts I write can be anything from 400-2000 words on a normal day, so 2000 words for a section was then very achievable. What made you choose to self publish that book rather than approach a traditional publisher? Lack of patience I think. Once I had decided to write a book, I wanted to get it out there. I knew the traditional route could take two years or even longer, , even if I managed to get an agent and a publisher this year. More and more people are self publishing now too, some because they see it as the route to being discovered by a publisher, others because they have gone down the publishing route and have decided they would prefer to do it themselves. Others prefer to keep control over their own project and I have to admit there was a little of that in my reasoning too. Traditional publishing does add more kudos to a book but once I had made up my mind, I wanted to see it through and complete it by year end. I have another book in mind for 2014! How did you hit on the idea of crowdfunding the book? I had heard of crowdfunding but had never thought of it for my own project until I attended a social media conference in Wales in June. I heard a presentation about a successful crowd funding campaign for a film documentary and as I hadn’t progressed beyond 10,000 words at that stage, a little light bulb went off. What methods did you use to reach your target? I created rewards that centred on the book and the majority of the pledgers opted for the €15, €25 and €45 options for pre-ordering the book. Some pledged for a social media course at We Teach Social (Lorna’s social-media training business) and some businesses were happy to increase their pledge to €100 for the 5 books and the banner advertisement on my website. These larger amounts were hugely significant in helping me reach my target. Social media was crucial to the success too – I used blogging, Facebook and Twitter to spread the word. Twitter was the most successful tool with over half of the pledges coming from twitter followers from all over the world. The social media activity also helped in getting press coverage in local and national newspapers too. What obstacles did you encounter during your crowdfunding experience and how did you overcome them? I didn’t encounter many obstacles as such. There was a lull in the middle which worried me but apparently that lull is perfectly normal. In hindsight, I should have told all my contacts about the campaign before it went live and then sent another email when it was live. I didn’t do that and was left wondering if people had seen it and were ignoring it or if they were putting the pledge on the long finger or perhaps they hadn’t seen it. Would you recommend crowdfunding as an option to other self published authors? Yes I would, but I would advise having a significant following on social media in advance. Very few people will pledge from an ‘offline’ mention, they need to see the link online to follow it. Apart from the comfort of knowing that a significant portion of your printing and publishing costs have been covered, it is great publicity for the book before it hits the shelves. I found that pledgers were naturally excited about the book too. They feel they have travelled the journey with me. I recently received an email requesting my address for a book that I funded back in May – I’m looking forward to seeing that book and knowing I was a small part of it coming about. If it doesn’t succeed, it doesn’t mean the book will fail but perhaps it might need tweaking before it is self published. You hired a professional illustrator and editor for your book. What difference do you think investing in professional services makes to a self published book? I really wanted to have illustrations throughout the book and knew I would need about twenty in total. I felt they would really add to the humour of the text as well as breaking up the black text. It was a cost but I feel it really added to the production values of the book. I also decided to opt for a hard cover – I would like it to be a ‘fun coffee table book’ that people either read in its entirety or dip in and out of. I think it must be very difficult for writers to edit their own book – you see what you think is there, not necessarily what is written. My husband was excellent at pointing out errors and while I had a few beta readers, nothing could equal the suggestions and subtle changes made by my editor (that’s me – coughs). Even before we got to the edit stage, it was comforting to be able to send the editor a good draft of three sections to receive her feedback and take that into consideration before I submitted it for the final edit. How do you think your social media profile stood to you in your fundraising and promotion of the book? It has been essential. The crowdfunding would not have succeeded but for my social media profile and my membership of various online and business communities. Even being an organiser of the KLCK Bloggers Network and Blog Awards Ireland helped in terms of getting pledges. One journalist contacted me and wrote a piece in a national newspapers because she read about the crowdfunding campaign on my blog. This virtual book tour will also help me to reach potential readers of my book who might not otherwise have heard of it. It’s about building brand awareness too before people will necessarily click the ‘buy now’ button. I wrote a blog post a week ago entitled ‘Ten reasons to marry a farmer’. It received 50,000 views in the week with most of the traffic coming from shares on Facebook. Irish Central have reposted my post on their site and it has received significant shares and comments on Facebook too. The huge traffic hasn’t resulted in comparable sales but it all adds to brand awareness. People came to read a blog post, not to buy a book but a fraction may return. Many of my purchasers in the last week have been via twitter too. However, it’s not just about social media. It is important to get coverage in traditional media too such as radio and print. Hopefully more of that will be happening over the coming weeks. Overall, what advice would you give to people who are choosing to go down the self publishing route, to avoid pitfalls and maximise their chances of success? Ensure it is a relatively popular topic if you are going to the expense of printing your book. Test the market with a Crowdfunding campaign or know that you have a substantial following on social media. – Write a blog, set up a Facebook page and a twitter account. These are essential tools now for self publishing authors. – Write the best book you possibly can so that your followers will act as your ambassadors and spread the word for you. – Invest in an editor and an illustrator for your front cover. – Foster relationships with key influencers and journalists.